Our Studio is an "under-the-radar series to check out!" A shout out from Megan, Jonathan, Jared & David's alma mater! Thanks, St Olaf College! "OUR STUDIO was inspired primarily by the real life experiences of both Rini and Hughes – both in their personal and professional lives. It’s a series of stories that each hope to portray in fresh, hilarious fashion. “We have been living in NYC together in either a small room or a studio for over a year and a half now. It is taking true life events and exaggerating them into a sketch comedy format,” they say. The series relies heavily on both collaboration among its cast, many of which are fellow actors and friends of Rini and Hughes, as well as a heavy emphasis on improv." "So here’s the deal. 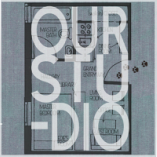 We saw the Indiegogo page for OUR STUDIO and thought that it was so sincere that it was just plain charming. “A new Web Series funded by the Wedding of Adam Rini and Megan Hughes?” We also thought that if we liked two of the three characters as much as we did (the third character is a cat; we aren’t cat people, sorry), then so would the general audience cuz it’s the interaction of the regular “family” that makes a TV series a hit...."